Love is easy to give when you are getting it back. Are we still called to God’s plan of how to love when we are getting none in return? 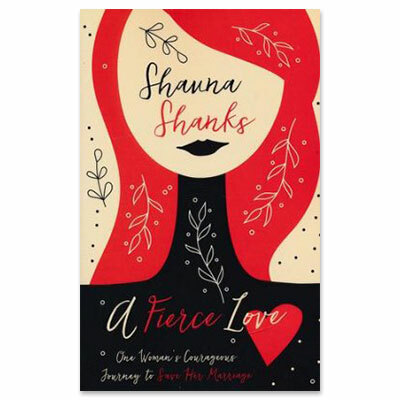 Shauna Shanks’s brave journey through obedience reveals the outcome of when we dare to follow God’s ludicrous outline for love as described in 1 Corinthians 13. Wrecked with news of her husband’s affair and his request for a divorce, Shauna finds herself urgently faced with a decision. Does she give up and divorce her husband and move on, or does she try to fight for her marriage? The former choice seems to contradict God’s plan for how to love, such as “love never gives up,” “love is patient,” and “love is kind.” Taking God at His word and assuming the love chapter was really meant to be followed literally word by word, she not only finds herself falling in love with her spouse again, but also falling in love with Jesus, which changes everything. First Corinthians 13 presents an audacious, illogical, and irrational context of how to love, meant to be applied to every marital context not just the fairytale marriage. If God’s instructions seem illogical and audacious, you might just expect the same kind of results in return! This book is not air-brushed. It was written in the midst of the author’s deepest trauma, and she purposefully did not edit out her mistakes and failures during that season. This book will resonate with women who do not feel like the picture-perfect Christian woman with the fairytale life and marriage. A Fierce Love is the story of a train wreck and reaching out to God not in the calm but in the chaos and finding hope for the future.